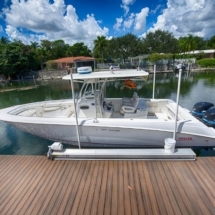 Beautifully designed for your life on the water. 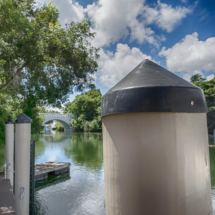 With so many available options to select from, Dock & Marine can help you create your perfect waterfront dream. Please browse the galleries below to be inspired. 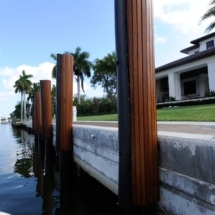 At Dock & Marine, residential construction has always been our specialty. 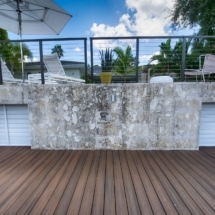 Composite deck with decorative rock face retaining wall. 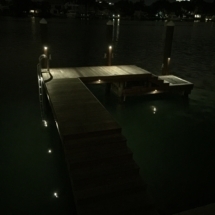 Two story wood dock with fender piling and custom lighting. 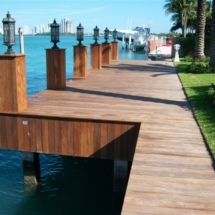 Ipe wood dock with concrete piling sheathed in matching Ipe wood panels with custom lighting. Wood wrapped concrete dock and seawall with lighting. 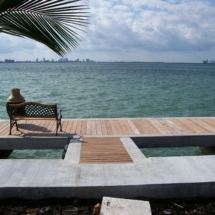 Custom Ipe wood and concrete T-dock, and concrete seawall. Wood fender piling with Ipe wood furring strips. 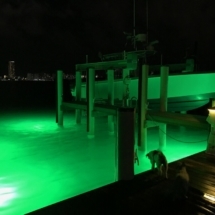 Dock and seawall with custom underwater lighting.